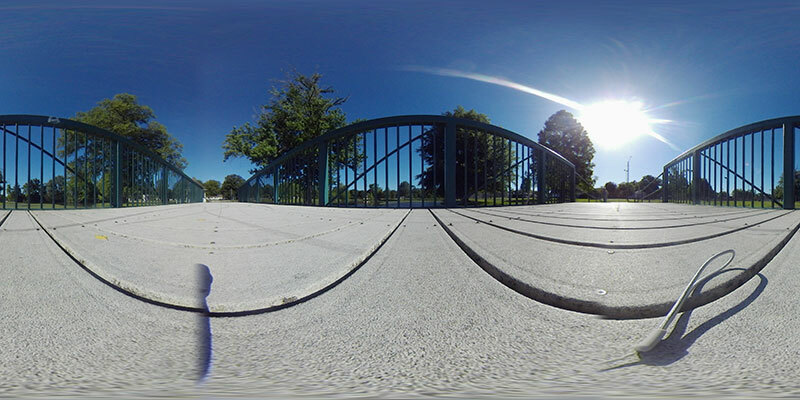 There’s something special about reliving your memories through 360-degree images or videos, but for those of us who aren’t professional photographers the necessary gear can be a bit daunting. The Wunder360 C1 from Evomotion tries to bridge the gap as an affordable gadget that’s easy to use while still providing a robust set of features. Only recently launched, the C1 is an interesting device. It’s a sort of in between offering meant to appeal to the selfie crowd as much as the action sports crowd. The camera comes with dual lenses capable of recording 360 images and videos in a number of different formats. Exposure and white balance can be adjusted, but most other settings are hardbound – it’s an entry-level device. Using it in broad daylight resulted in fantastic images and videos, but performance in low-light situations is just average. Experienced photographers may lament the inability to change certain settings for specific situations. On the head of the device, there’s a menu and power/back button, beneath those on the side is a flap which opens to reveal the micro USB charging port and SD card slot. On the front of the device there’s a record/shutter button and a digital display. It also has a built in microphone and six-axis gyroscope. It shoots photos in 4K (4096×2048) and records video in 3040×1520@30fps or 2176×1088@60fps. 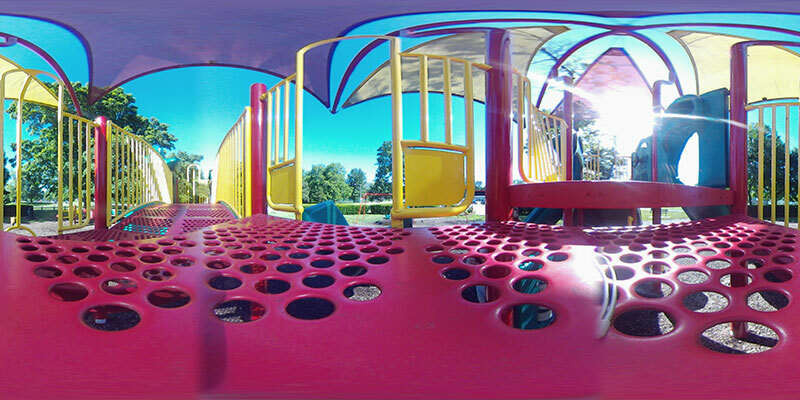 You can select from standard 360, fisheye, “little planet,” and “disco ball” formats. I was impressed with the images it produced. Unfortunately they don’t translate as well when flattened out. Keep in mind the above images were shot without a selfie stick, tripod, or any accessories. The C1 can be mounted, and there’s a plethora of accessories made for it, but as a parent I’m seldom able to set up my shots. I appreciated the device’s digital display and audio prompts because I was able to operate it with my phone in my pocket. In fact the C1 is so easy to use that my toddler, who is a little over a year and a half old, was able to get some pretty decent footage with it. 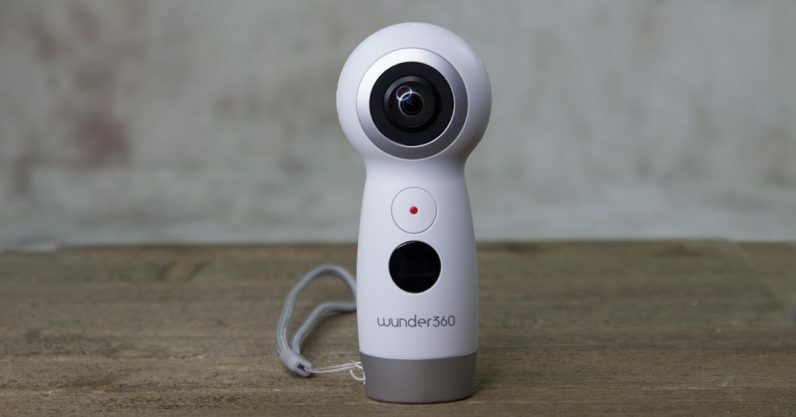 I don’t necessarily care that much about the aesthetics of a camera, but the Wunder360 C1 bears a striking resemblance to the Samsung Gear 360, and that’s not a bad thing. I liked the wrist tether, and the matte white color looks great. 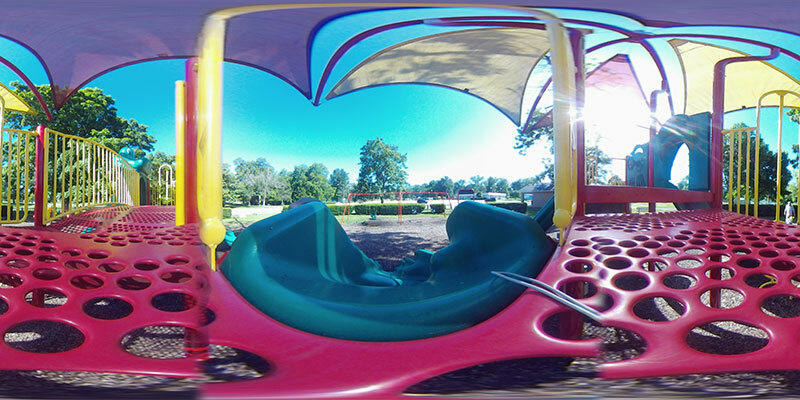 One of my favorite things about the Wunder360 C1 is its app. It’s a little frustrating to figure out at first – for some reason I couldn’t get it to format my memory card – but ultimately it turns out to be simple to use, and it does everything I need it to. The app has all the standard features you’d expect. You can save images and videos to your device, share them to Instagram and YouTube, and edit. It’s in the editing where the app shines. Thanks to some clever machine learning algorithms you’re able to follow a person or object in 3D and change the POV throughout a video. 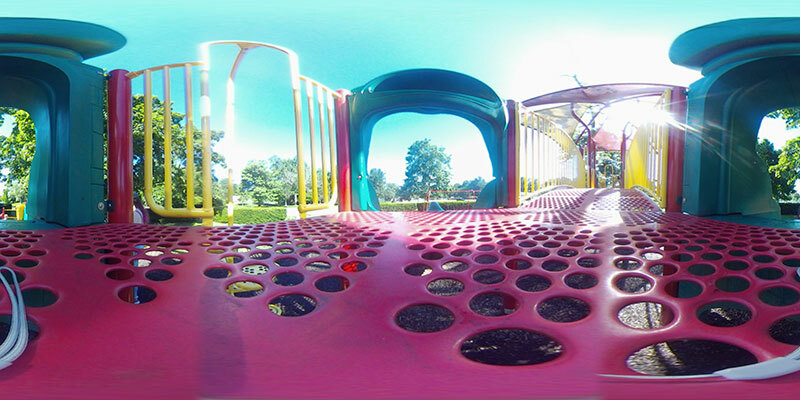 The AI works quite well, and being able to edit the POV means you can produce videos that tell a story in 2D for people who don’t care to experience your 360 videos interactively. And if you do find yourself wanting to create immersive videos, the app allows you to export videos in a VR-friendly format. It seems like a great device to bring to a concert – especially considering it’s relatively inexpensive and surprisingly sturdy. During my testing I let my toddler run wild with the device and he managed to drop it several times. While I wouldn’t suggest risking it (damaging the lenses could render the device unusable), and it isn’t intended for use by babies, it’s good to know that it can handle a few bumps. The C1 has an internal 1000mAh battery that charges via USB. Unfortunately I haven’t been able to find any official specificiations stating how long a charge should last, but during my testing I’ve found that at approximately four hours of use, it’s indicating one of three bars in the battery icon on the device’s digital display. I do have one gripe with the C1, perhaps I’m doing something wrong, but it seems useless without a memory card. Without one inserted, I couldn’t figure out how to make it do anything other than tell me there wasn’t enough storage. I was hoping to save images directly to my phone, but couldn’t get the unit to take any without a memory card inserted. And you’ll need to bring your own memory card, it doesn’t come with one. I also suggest formatting your card in a different device before you try to use it with the C1. 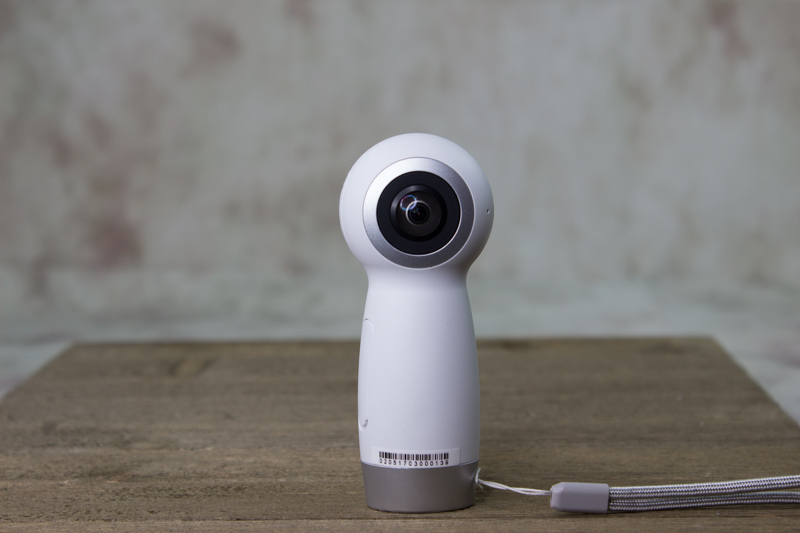 Outside of that minor complaint, I’m happy to recommend the Wunder360 C1 to anyone looking for an entry-level 360 camera that shoots 4K, doesn’t require a design degree to edit photos with, and won’t break the bank. You can pick one up for $169.00 at the Wunder360 website. Sometimes we publish sponsored reviews: we always say so when we do. This isn’t one of them.